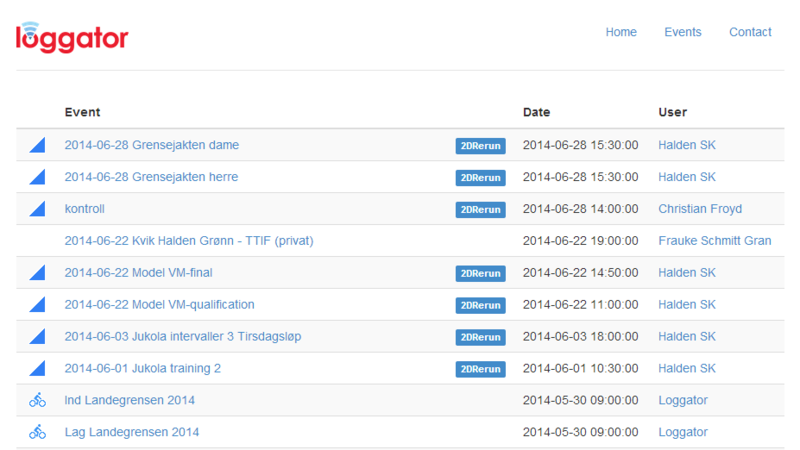 Orienteering events can be analysed on 2DRerun during(live) and after the event. Public events on Loggators' front page have a link to 2DRerun. Also every event on its own page has a button on the top right linking to 2DRerun.